My personal experience speaks a lot about healthy eating and healthy living. The food that goes inside you reflects outside. Your skin is a kin to your diet. It is very important to eat foods which can keep your body cooler. Mangoes can be a tempting fruit category in summers, but these are warm. Their consumption should be checked and chilled strictly. Nuts like almonds are ideal for a little careless consumption during winter, but the same won’t work in summers. Try to incorporate a lot of citrus and watery fruits in your diet and weight loss. The pollution and heat outside damages your skin. But your skin has a natural way to heal itself and regenerate new cells. The only problem is that, there is no mechanism to shed off the upper, dead layer of cells. Exfoliation helps to remove this dead skin and allows you new cells to be exposed to fresh air. This enhances complexion too. It is the prime issue. You should be very careful about the existing facial and skin conditions. Acne do spread and leave blemishes. Back acne is very common in summers due to fungal infection. To escape their doomed spell for a lifetime, start minding each single breakout. Find out the triggers and get it treated immediately. To treat acne scars at home, try aloe Vera mixed with papaya paste. Avoid touching your face with hands. Wear lose clothes and wash your face twice. For aggressive acne treatment, use mild acne tropical creams. To beat the heat, your skin needs hydration just like your inner body. Cucumber is great coolant for your skin. 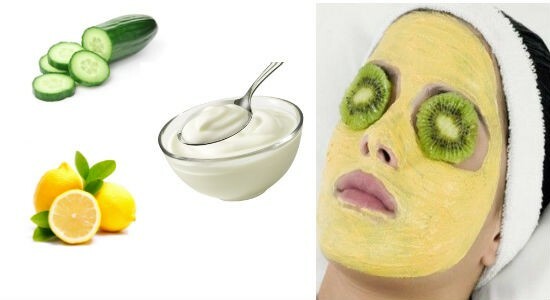 While applying this mask you can keep thin slices of cucumber over your eyelids. This can reduce dark circles. Yogurt will ensure that the ph of your skin is maintained. As it is acidic in nature, yogurt also kills fungus. The third ingredient lemon, works as a skin bleach. This mask can do wonders to your skin is applies regularly, at least twice a week. Oranges are great home remedies for glowing skin. As these are scarce during summers, you can achieve their benefits by using their dried peels. Grinding the peels to fine particles and mixing them with honey give you very effective face pack for skincare at home. Applying this mask every third or second day in a week can function as a chemical peel treatment for your summer blemishes. Moving out in the thick mist of pollution and hot weather is very challenging for your skin. There can be endless, invisible dirt particles trapped in the pores of your epidermal layer. Steaming is a great method to open up the pores. Once you are done with steaming, take a cotton pad and gently rub all over your face. What you will see afterward on the soiled cotton pad will astonish you. Now your skin is free from almost all the dirt. After steaming, the next step is a toner. A fragrant homemade toner is gulab jal or rose water. Those with dry skin can consider applying honey before rose water, let it sit for 15 minutes and then wash off gently. When you are dealing with your facial skin, don’t forget that you are handling a very sensitive area. It is of utmost importance not to over-do everything. There are endless face masks, home treatments and remedies available. But going by my personal opinion, always stick to one or two. Doing a lot of experimentation can have counter effects. Also, before any treatment, know your skin type and act accordingly. These were some quick bites on home remedies for glowing skin. 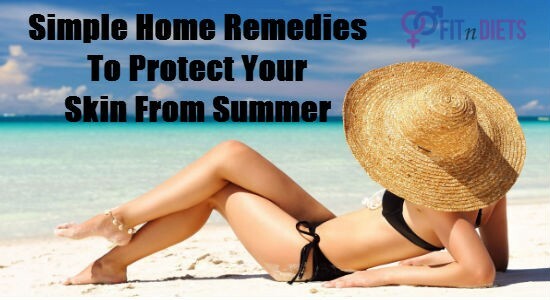 Practicing these regularly can contribute immensely in protecting your skin from summer. 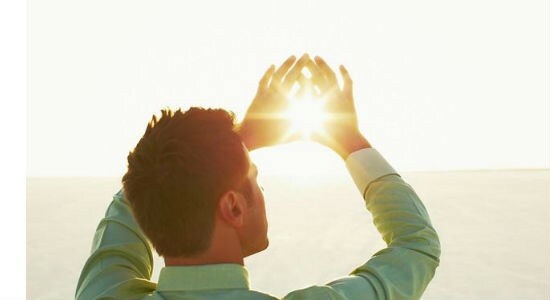 With these remedies, do keep a sunscreen handy. Avoid keeping a lot of make-up on your skin for long hours as this may clog your pores. Additionally, if you really are looking for maintain the overall skin health, you should definitely start shaking legs. Exercise helps your body to excrete out the waste products, which otherwise may accumulate beneath your skin and cause outbreaks. So, gear up to face the upcoming summers this year.